Introduces the Range Rover Sport Plug-In Hybrid (PHEV), which combines high performance and economy with its enthusiasts. With its powerful and agile structure, Range Rover Sport PHEV, which can easily climb even 45 degree slopes, is offered for sale at Borusan Otomotiv Authorized Dealers with its 2.0 lt PHEV 404 BG hybrid and 2.0 lt 300 BG petrol engine options. 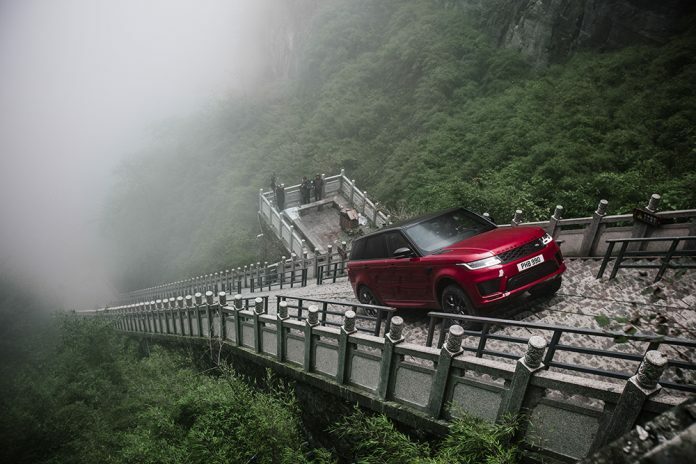 Combining high horsepower with superior handling and economic consumption, the model is the first car to climb the 999-step ladder of the legendary Heaven Gate in China. The model that Land Rover has equipped with the latest electric motor technology, manages to offer both economy and performance while maintaining the off-road capability of its genes thanks to its infrastructure. Combined with a four-cylinder, 2.0-liter 270 HP petrol engine, the 107-hp electric motor provides a total of 404 hp power and 640 Nm of torque, delivering top performance and low fuel consumption. Range Rover Sport PHEV can be used 100% electrically for 50 km thanks to home mode. The model completes the acceleration of 0-100 km/h in 6.7 seconds, with an average fuel consumption of 2.8 liters per 100 km.